Bates has promised to go carbon neutral by 2020, a seemingly daunting task, as few other schools have accomplished such a feat. However, the college is not falling short. This year, we are proud to say, Bates College has reached 95% carbon neutrality, with further improvements still coming. This has happened through working on three major areas that are critical to carbon neutrality: fuels, efficiency and culture. With all of these changes working in conjunction with one another and with the dedication from the team of Eco-Reps led by their fearless leader Tom Twist, Bates has gone from emitting 11,600 metric tons of carbon dioxide to now we are on track to emit only 600 metric tons, mostly from travel both from commuting faculty and study abroad travel. So the question is: how did we get here? Beginning with Fuels, much of Bates Campus runs on the energy from three boilers in which we once burned heating oil or natural gas, largely dependent on which was cheapest at any given time. Over the past three years, however, we have transitioned all of these boilers to burn Renewable Fuel Oil (RFO). This is a wood-based liquid fuel with an extremely low carbon emission profile. The “wood-base” is collected through scrap wood, namely wood chips, bark, and other such wood that would often be discarded. It is also cheaper than its fossil fuel alternatives, thus the college is benefiting financially from this switch. All the major buildings run now on this main steam line, the only buildings that do not are the smaller wood-frame houses which have their own boilers. This was a major step on the path to carbon neutrality, and it is one that many places have yet to consider because RFO is a relatively new technology with less than five other places in the nation using this option. As for efficiency, this entails wasting less energy within the systems that we already have. These changes have been more straightforward, however have had profound impacts. First, the simple question of light bulbs was tackled- we moved away from incandescent and compact fluorescent bulbs and towards the LED bulbs. This is lightbulb jargon translates to mean we are now using lightbulbs that use as much as one-tenth less energy than some other types of light bulbs. Our lighting has changed in other ways as well, including a system called “Daylight Harvesting.” This means that rooms are motion sensored, along with people light sensored, that is, the room can detect when there is a significant amount of sunlight in the room and thus will dim or shut off entirely. Beyond light bulbs, major energy losses have come from the poor insulation of old buildings that make Bates the classic New England college that it is. So systems were put in place so these cozy buildings could keep the wonderful New England aesthetic, while being more energy efficient. Systems like “Air to Air Heat Exchange” or “Variable Frequency Drive” make the warming of the building more energy efficient. These systems seem complex, but in fact have been rather small changes, to the placement of pipes closer together or implementing a dial rather than only on and off switches, both of which reduce energy usage and keep the buildings more comfortable and consistent in temperature. The final piece to the sustainable puzzle was the culture change on campus that had to take place. Changing behavior is one of the hardest methods in making change, however, particularly with a change that is focused on such a small and specific community, behavioral changes can make a difference. 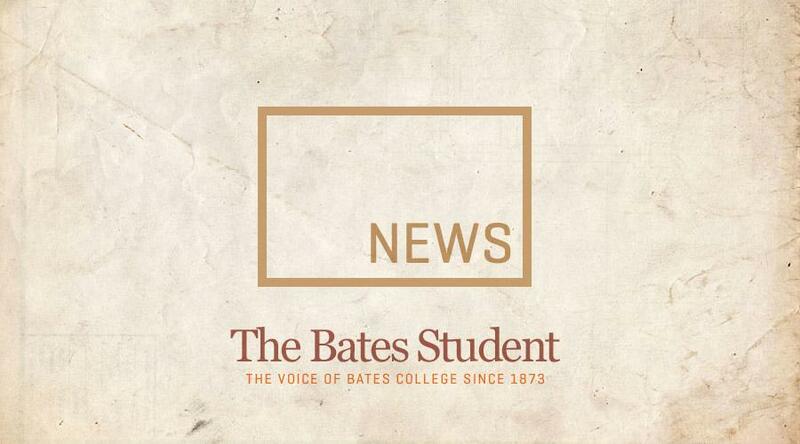 Over the past three years, Bates students have left less windows open, left less lights on, have improved their recycling habits, and even have been asking Sustainable Beanie questions about what more they can do! This is an incredible cultural change within the student body, and it is long lasting. It was a student-led effort to get rid of the paper cups in commons and now three-quarters of a million cups are no longer going into the landfill, and this is just the number that weren’t recycled! It has been with the support and effort of the student body that has risen to the challenge of sustainability that has made this campus the (almost) carbon neutral place that it is, and it is this same student body that will get this campus to the 100% carbon neutral goal. With only 5% left to reach the goal, these small behavioral changes really are going to make a difference. Thus this is not only a congratulatory piece to the excellent work that has been done, but also a call to action- not necessarily in the large or dramatic sense, but rather a call to urge students to take on their days with sustainability in mind, with simple and small daily incremental changes, which will help us push through this last 5% to finally reach 100% carbon neutral. A ‘Congratulations Bates’ is in order, but let’s not reward ourselves quite yet- there is still work to be done.